Amazon has a booming business that could soon be worth $160 billion -- no, not the one you're thinking of. Most people see Amazon as a huge online shopping mall. But businesses are starting to see Amazon as a warehouse of cloud infrastructure they can rent. Amazon Web Services, the company's network of servers, data storage technology and virtual computing platforms, is on pace to bring in more than $7 billion in sales this year. This week, Deutsche Bank estimated that AWS sales could reach $16.2 billion by the end of 2017. That would make AWS worth $160 billion, the analysts said, and Amazon's single most-valuable business -- even more than the retail unit that put Amazon on the map. 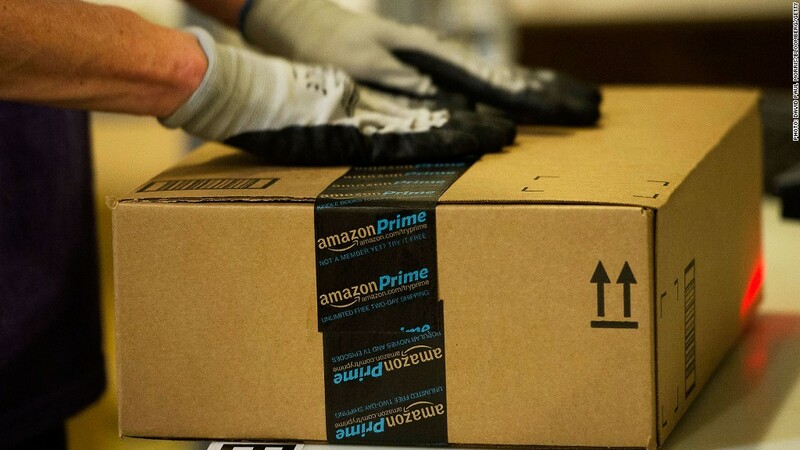 Amazon (AMZN) has echoed Deutche Bank's forecast. CEO Jeff Bezos told CNBC in April that AWS would one day overtake the retail business. AWS' growth is remarkable -- it's the fastest-growing corporate IT business in history. Amazon launched AWS just nine years ago, and it's on pace to surpass $10 billion in annual sales next year. Apple (AAPL) took 19 years to achieve that mark, the analysts noted. Microsoft (MSFT) took 22 years, and Oracle (ORCL) took 23 years. So why is the AWS business poised to be more valuable than Ford (F)or GM (GM)? Let's take a look. AWS allows businesses to move their computing operations to Amazon's data centers. AWS customers entrust Amazon to secure their data and software. And Amazon's prices are typically cheaper than the cost of a company running and operating their own server farms. More than a million companies large and small, from nearly every industry, according to Amazon. Netflix (NFLX) uses AWS to stream billions of hours of shows and videos to viewers every month. Pfizer (PFE) conducts research projects, clinical analytics, and large-scale data analysis through the service. AWS archives huge amounts of space and earth science data for NASA's Jet Propulsion Laboratory; runs financial simulations for Aon's insurance products; powers parts of Healthcare.gov; and runs Lonely Planet's publishing platform. Most recently, companies like GE (GEIMX), News Corp (NWS), and Capital One (COF) have also started to move more of their IT work to AWS. Capital One, for example, is closing down five of its eight data centers as it migrates some of its operations to AWS, according to Deutsche Bank. Microsoft's Azure platform is Amazon's biggest challenger right now, the analysts say. But in terms of revenue, AWS is about six times bigger. Google's Cloud Platform is in the No. 3 spot. And Salesforce (CRM), IBM (IBM) SoftLayer, and Rackspace are also companies to watch. What challenges does AWS face as it tries to grow? Concerns about data privacy and security hacks may hold back some companies from moving their business to virtual cloud systems. "There is clearly more thought going into the encryption of data, but we're still not convinced that encryption keys are fully secure," is one piece of feedback the analysts received. Some firms may also be reluctant to give up their own private data centers if they've already poured a lot of money into them. Moving large chunks of data is not an easy task, and can be very expensive too.